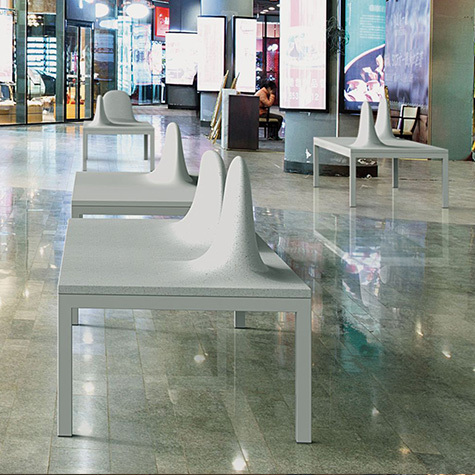 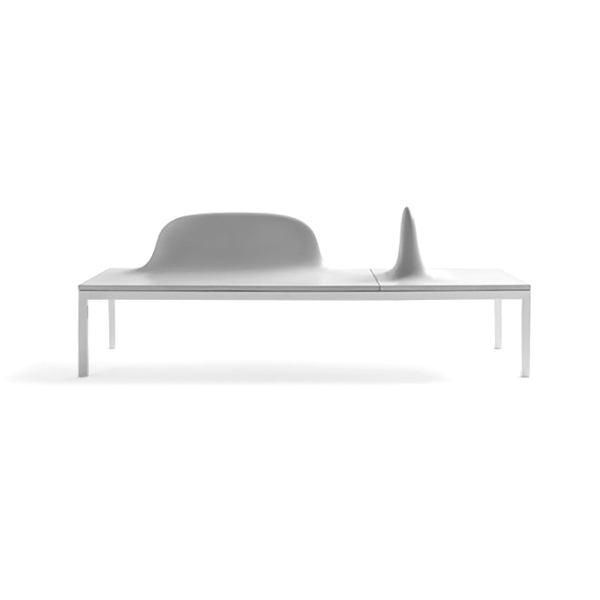 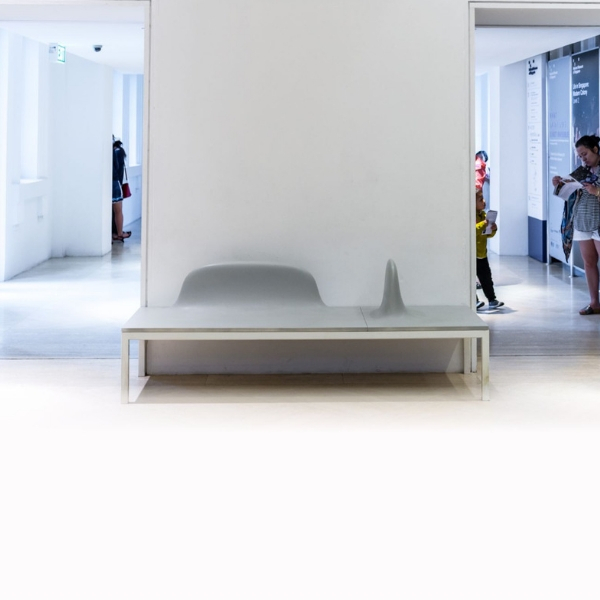 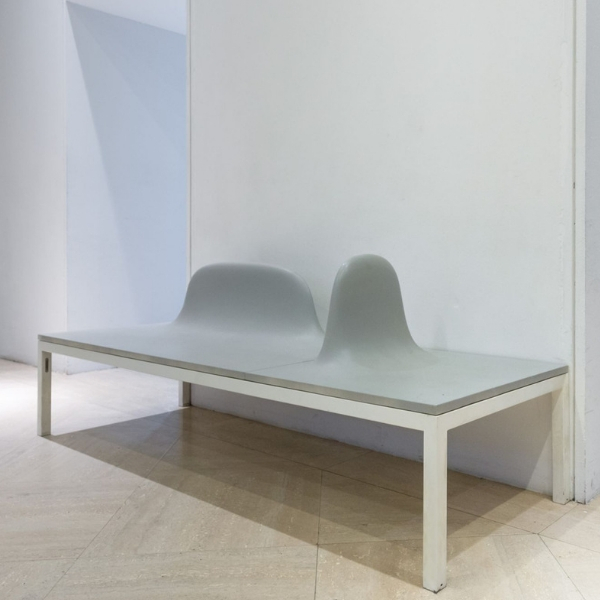 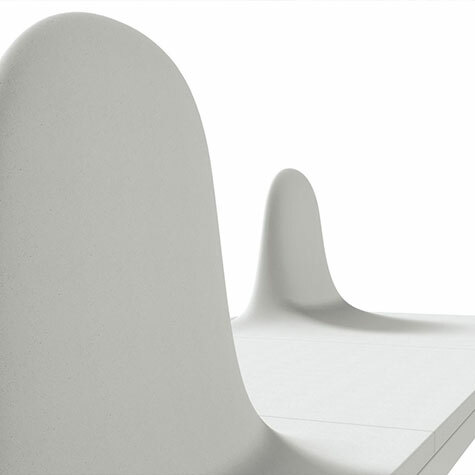 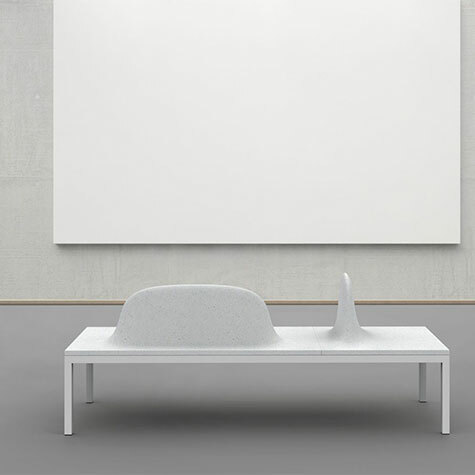 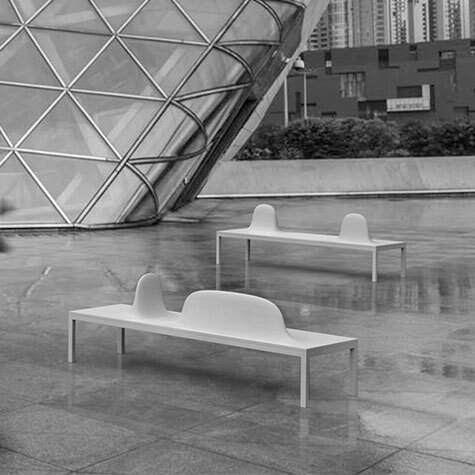 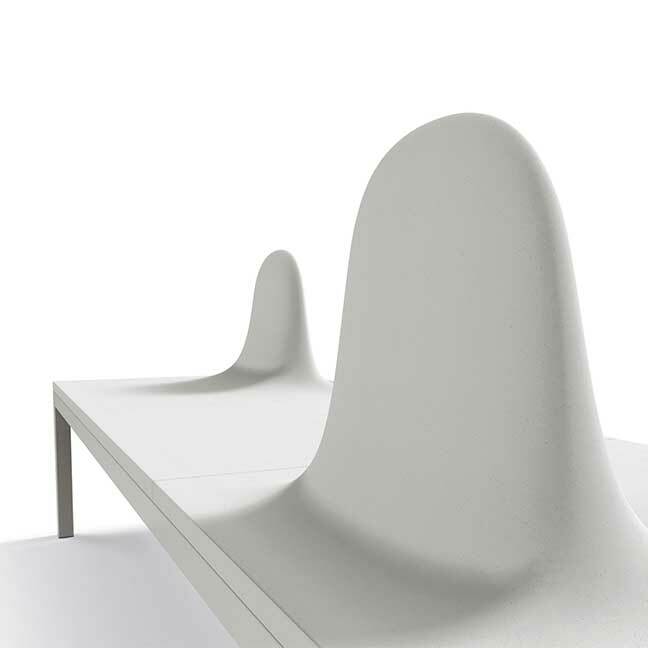 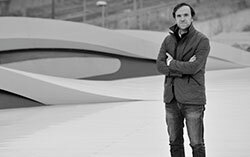 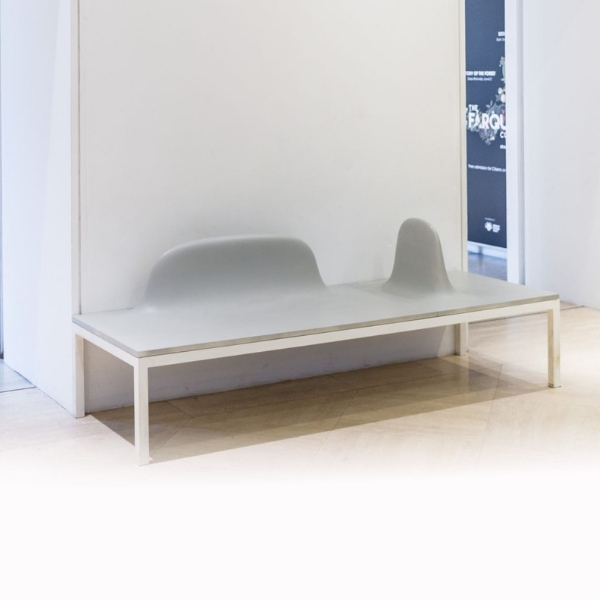 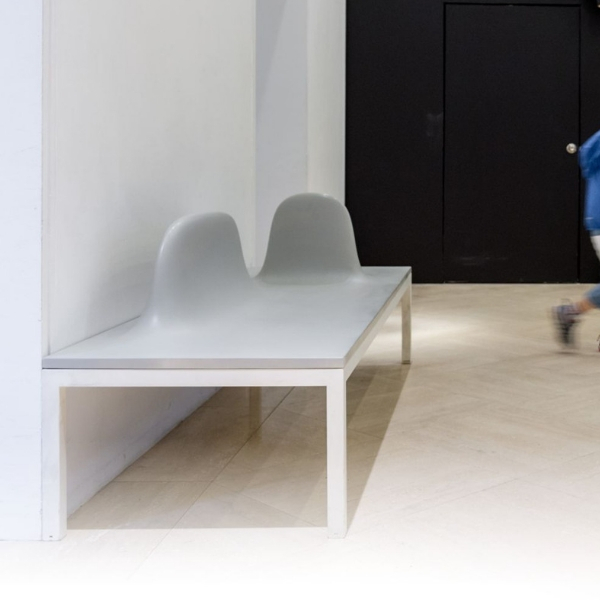 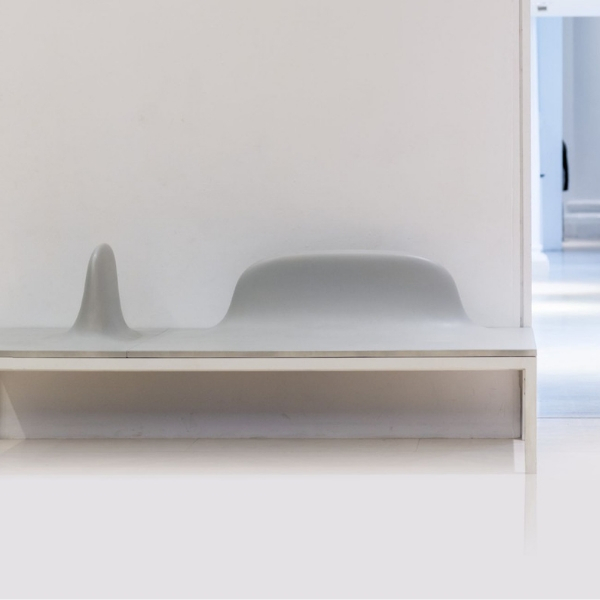 The Uluru Bench is a modular organic shape manufactured from ultra high performance concrete (UHPC). 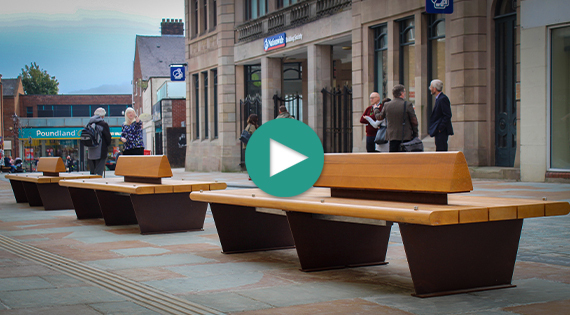 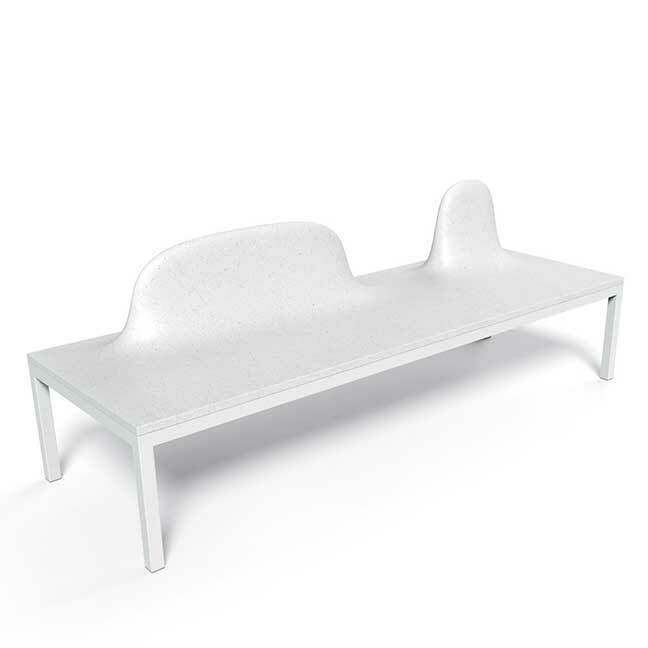 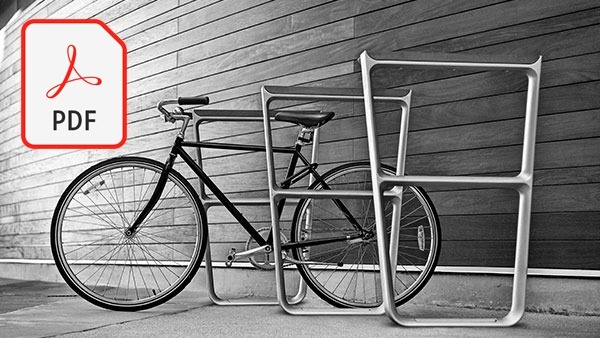 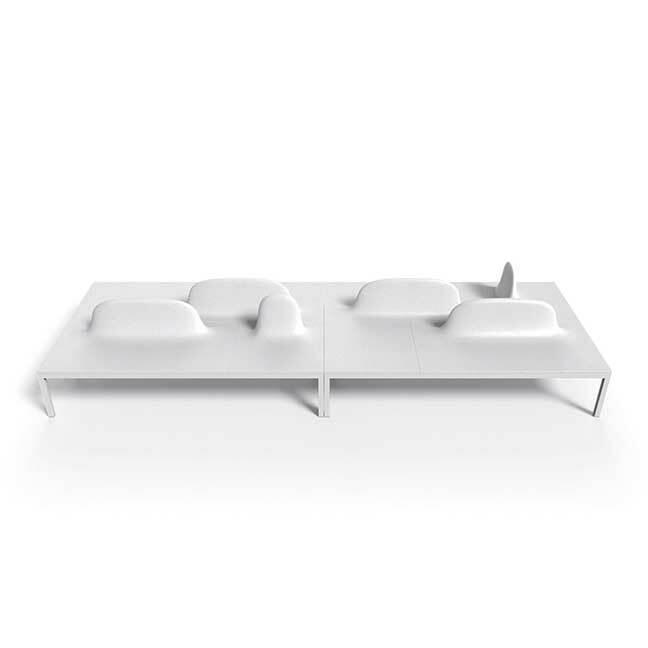 The bench is available as a single seat, plane, table, single seat with backrest and a two seater with backrest. 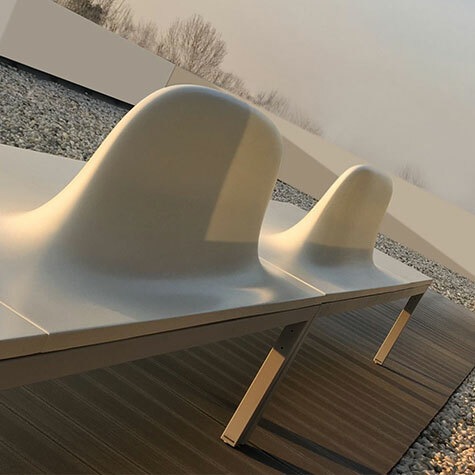 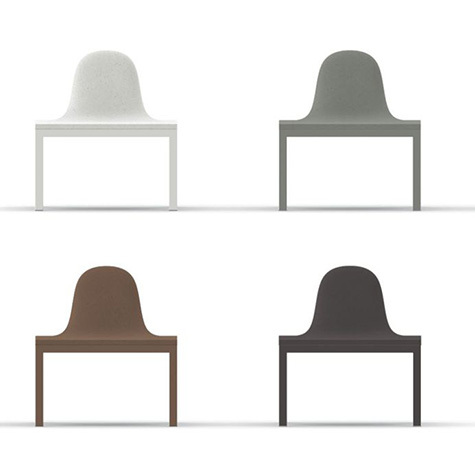 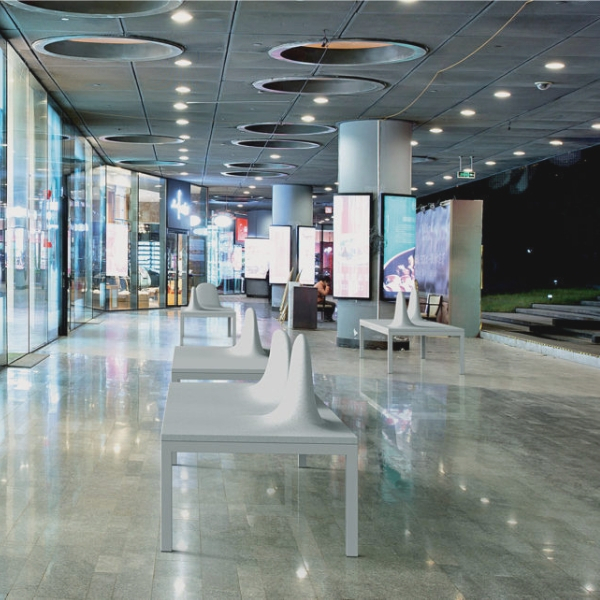 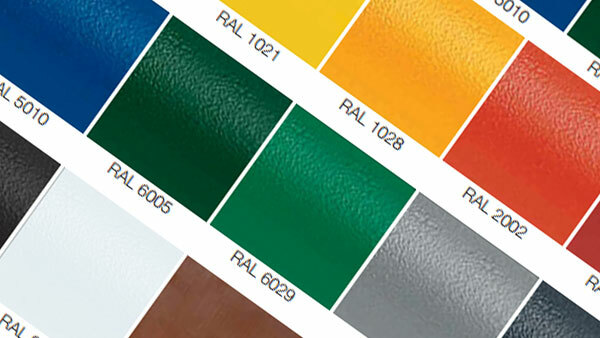 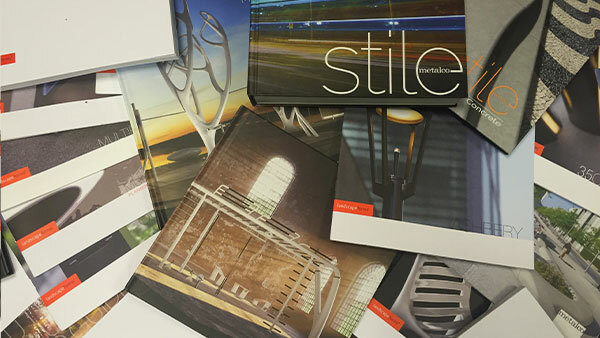 The modularity of both the painted steel supports and the single elements in UHPC enables it to be inserted in different compositions to fit into an array of settings.